"It's not something that was in the legislation and I don't think we plan on introducing any new legislation at this time to deal with that," said Bay of Quinte MPP Todd Smith of pushing back election day, currently scheduled for Oct. 22. Bill 31, introduced and passed through first reading with overwhelming PC support on Wednesday, would reduce the number of wards in Toronto from 47 to 25. 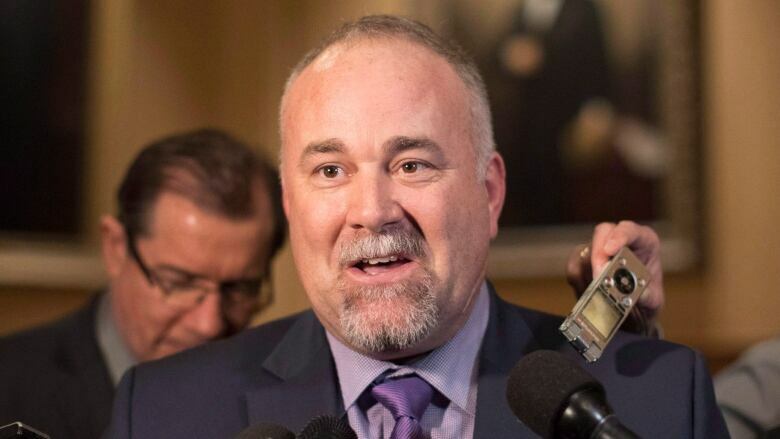 On Thursday, Premier Doug Ford unexpectedly recalled MPPs back to the Legislature for a rare weekend sitting on Saturday in an effort to expedite the bill. It is expected to pass by the end of the month. The bill includes a constitutional provision never before used in Ontario that insulates it from judicial review. The government introduced the legislation after a Superior Court judge ruled on Monday that a previous iteration violated the Charter of Rights and Freedoms. The government is also appealing that ruling. During an emergency council meeting on Thursday, city clerk Ulli Watkiss said the confusion caused by the ongoing legal battle over the original bill, and the introduction of a second bill, has "reached a tipping point." She told councillors that without more certainty, she could not ensure the integrity of the upcoming vote. Watkiss added that she has retained independent counsel and would be discussing possible options for a delayed election. In an interview with Metro Morning, Smith admitted the city finds itself in "unusual circumstances." The bill could, in theory, be amended to allow for a rescheduled vote. But he pushed back on the suggestion that a fair election is not possible. He pointed to examples at the provincial level, in which an election can be held 28 days after dissolution of government. Smith added that MPP Steve Clark, minister of municipal affairs, would assist the city clerk with provincial resources. Elections Ontario could also help, he said. When pushed on the controversial timing of the province's effort to cut Toronto's city council in the weeks before an election, Smith said that "waiting another four years is not an option for our government. "We believe that a streamlined city council working with well with the provincial government and the federal government is going to be able to partner to get things done to make the city of Toronto a better place to live," he continued. Ford and the PCs have consistently maintained that the purpose of the legislation is to limit "dysfunction" at city hall and ultimately get more transit infrastructure built. "Millions of people are impacted by what's not happening on the ground in Toronto right now," Smith said. Mayor John Tory has defended the city's record on transit construction, pointing to projects like the Eglinton LRT and Line 1 extension as evidence that the municipal government is functioning well.